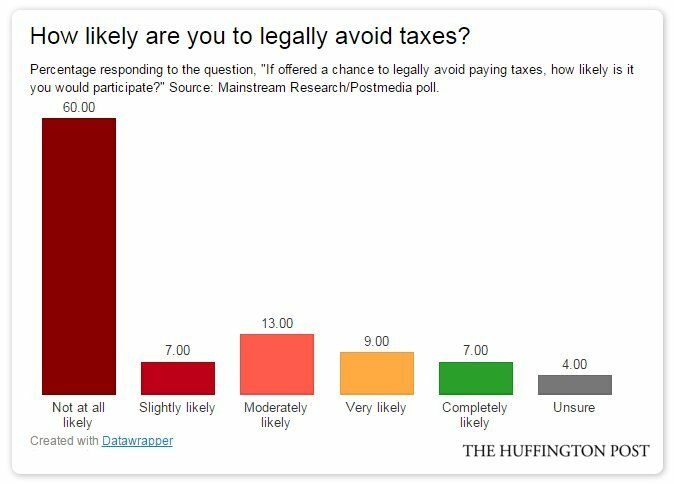 More than a third say it's at least "slightly" likely they would try legal tax avoidance. More than eight in 10 Canadians believe the rich aren’t paying their fair share of taxes, according to a new poll carried out in the wake of a massive leak of offshore account details. But while 81 per cent of respondents in the Mainstreet Research/Postmedia poll said the wealthy were getting away with paying too little in taxes, about a third said they would entertain the notion of avoiding taxes themselves. Asked if they would legally shelter money from taxes if given the opportunity, 36 per cent it was at least “slightly” likely they would, with 16 per cent saying it was “very” or “completely” likely. The Panama Papers, released last week by a consortium of investigative journalists, revealed 11.5 million documents on more than 214,000 offshore companies set up by Panamanian law firm Mossack Fonseca. The leak linked numerous politicians and celebrities to offshore accounts, forced the resignation of Icelandic Prime Minister Sigmundur David Gunnlaugsson and causing a major political headache for British leader David Cameron. The leaks reportedly linked 350 Canadian names to the offshore accounts, though so far no links to prominent Canadian politicians have been established. It's "unclear whether people believe the wealth of the one-percenters has influence on political parties," Mainstreet Research says. 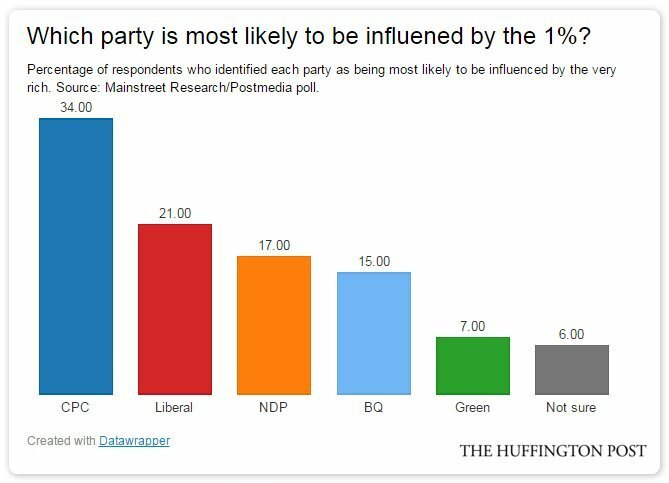 But the poll found Canadians feel the Conservative Party is the likeliest to be influenced by the very rich, with the Green Party considered the least likely. According to an estimate from Canadians for Tax Fairness carried out last year, Canadian corporations alone had nearly $200 billion stashed away in offshore accounts, a practice the group estimates costs the government some $7.8 billion a year. After years of dragging its feet, Canada Revenue Agency appears finally ready to calculate Canada’s “tax gap” — the amount of money lost to non-payment annually. Many other developed countries have been estimating this number for years. The poll also found “some lack of financial literacy” among Canadians on the difference between tax avoidance and tax evasion. Tax evasion, on the other hand, is the act of illegally hiding income or assets to avoid paying taxes owed.